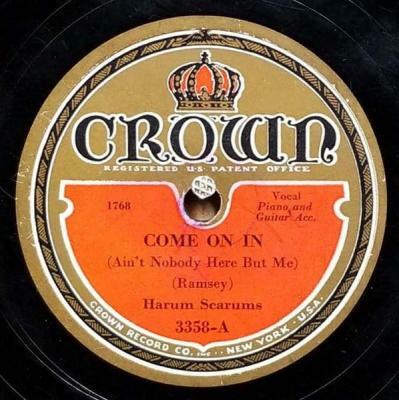 Harum Scarums -- Come On In (Ain't Nobody Here But Me) / Where Did You Stay Last Night? 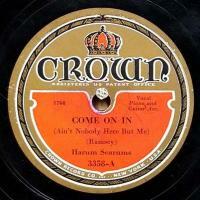 Come On In (Ain't Nobody Here But Me) / Where Did You Stay Last Night? Originally issued on Paramount 13104. Rare on Crown as well!